This blog post is the first in a new series authored by The Job Search Coach marketing intern Jasha Andrews. Jasha has been invited as a Guest blogger to TJSC to help uni students hunt smarter for a position. 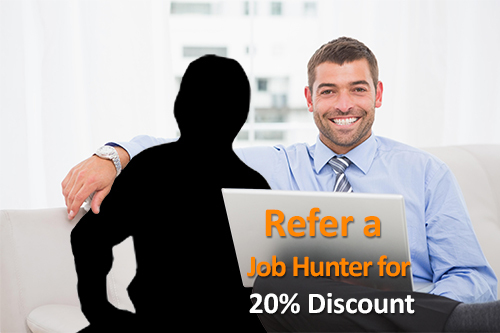 If you are a regular reader, this could be the refresher that you need on basic job hunting. Once upon a time, young people left high school went to university or TAFE and then graduated to start a career in their chosen field. Fast forward to today and young people face an ever competitive market in which to find a job, so they must gain every advantage possible to succeed. As a ‘mature age’ university student and marketing intern, I have the rare opportunity to view job seeking from both sides of the university graduate fence. Since graduating from high school in 2005, I have seen things change dramatically for young people – and these changes are not for the better. My first full time job was at a quiche factory as a process worker. The interview went for 5 minutes, and I am pretty sure they hired me because I wore a tie. This would turn out to be the exception, not the rule, when it came to job hunting success. But I digress… Let’s talk about YOU: a uni student or young person who needs to compete against thousands of other applicants during a time when youth unemployment is double the national average. Young people entering uni for the first time fall into two categories: those with some work experience and those without. This first section is about those who have not yet had a job of any kind. You probably know that you need a few things when searching for a job: A cover letter and resume. We will go through what should be included in each of these and mistakes you can avoid. End with a call to action: e.g a request to meet for an interview. When you have little or no experience, then you may feel the need to overcomplicate or embellish things. DON’T DO THIS. A general rule in any job application is to K.I.S.S. It is a good idea to have a generic cover letter on which base your applications. You absolutely must CUSTOMISE YOUR COVER LETTER for each job you apply: if you don’t, your application will be in the bin before you can say “please hire me”. Take a second and just imagine what it would be like to wade through hundreds of pages of generic B.S just to find a few good candidates. Doesn’t sound fun does it? Make your application like a breath of fresh air for the poor guy who has to read all of these – he/she will be secretly appreciative of the effort you put in, and reward you by considering you for an interview. This is a document which should sum up your skills and experience. It is the basis on which employers will receive their first impression of you. It is important you are concise and to the point – don’t fill it up with crap. Employers will be reading hundreds of these, so you need to have the courtesy to not waste their time. Fun fact: a resume and curriculum vitae (also known as a CV) are two different things, even though the terms are used interchangeably. A resume contains work history, skills and achievements while a CV contains academic history and achievements. Most people use a combined resume/CV when applying for jobs. Basic details like your name and contact details. While this may seem like common sense for anyone, you would be surprised at how many people stuff this up. You should include your contact number, address and email. And for Pete’s sake, make sure these details work. Make sure your email address is something simple and professional: A good example is firsname.lastname@mail.com. The last thing the employer wants to do is type in an immature email address you made in primary school. It’s annoying for them and makes you look bad. DO NOT put a photo or date of birth: this gives the unintended consequence inadvertent discrimination, and if they are using an Applicant Tracking System (something for another blog), then you will be discarded because of the photo. After your basic details, these next four things should form the basis of your resume. You might have other things you want to add, but make sure it is relevant and value adding. This could be a sporting or community based achievement. Keep it relevant and fairly recent – no one cares about the merit award you received in primary school. This could include Scouts, Cadets, Duke of Edinburgh, or any religious community activities. An employer won’t be looking for a highly skilled candidate at your level. They will be looking for someone who has a good work ethic and will be a good fit for the organisation. If you can tick a few boxes in each of the above categories, you should be putting yourself in good stead. DOUBLE CHECK IT! The last thing you want to do is to send a resume with spelling and grammatical errors: It shows carelessness and a poor attention to detail (something you need for most jobs). Once you have double checked it, get someone else to check it for you – preferably a person with more experience than you. Don’t ask them to look for spelling mistakes – it’s a waste of their time. Instead, ask whether the resume and cover letter address the position you are applying for. A good mentor will be able to guide you in how to improve your application. Once this is done, you should be ready to start applying for jobs! So there you have it, a quick primer on the basic things needed for job hunting. If you found something that worked for you, share it in the comments below. We will have more posts in the future explaining what to do next. So stay tuned folks, and no matter what you do remember to Keep It Simple Sunshine.